Schools back in session. Join us as we take turns sharing with the class ways to level up your daily, weekly and monthly goals and planning. The kiddos are back in school. Fall semester is in full swing. While you are enjoying your free time without the kids or taking a break from studying, tune in for an extra credit class with the professors at Success Freaks. Getting schooled can be fun! 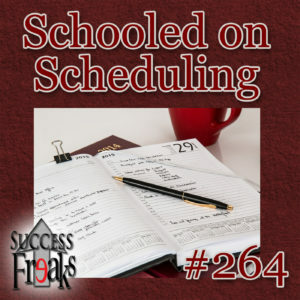 Let Mordant & Kirsten show you the paths they have taken to make their schedule a little easier. Set up your future now, by applying the tools you gain from this episode so you can “pay it forward” to your future self. Cherry pick from this jam packed episode and commit to leveling up your life! Class dismissed.